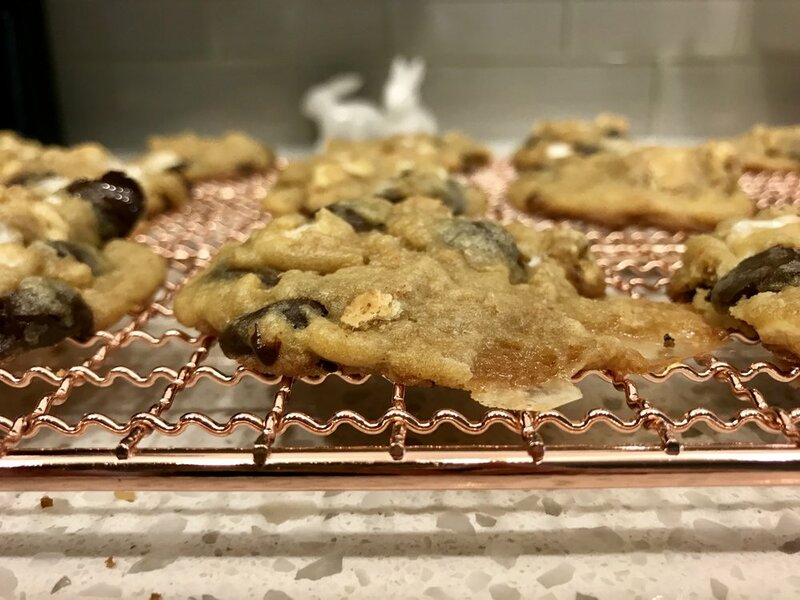 I am so excited to share this amores cookie recipe with all of you! These cookies were so easy to make, and they are delicious. I also like the twist on the classic s'more, which I am of course a huge fan of. Combine 3/4 cup (1 1/2 sticks) unsalted butter, 3/4 cup light brown sugar, 1/4 cup granulated sugar, 1 egg, 2 teaspoons vanilla. Mix until combined, which takes about 5 minutes. Next add in 1 3/4 cups flour, 2 teaspoons cornstarch, 1 teaspoon baking soda, a pinch salt. Finally, stir in 4 full-size crushed graham crackers (I put them in a zip lock bag and pound them with a rolling pin), 2 cups chocolate chips, 1 1/4 cups mini marshmallows. Let sit in the refrigerator at least 2 hours (this keeps them from spreading out when they bake). Bake at 350 about 8 minutes (they get firmer as they cool). 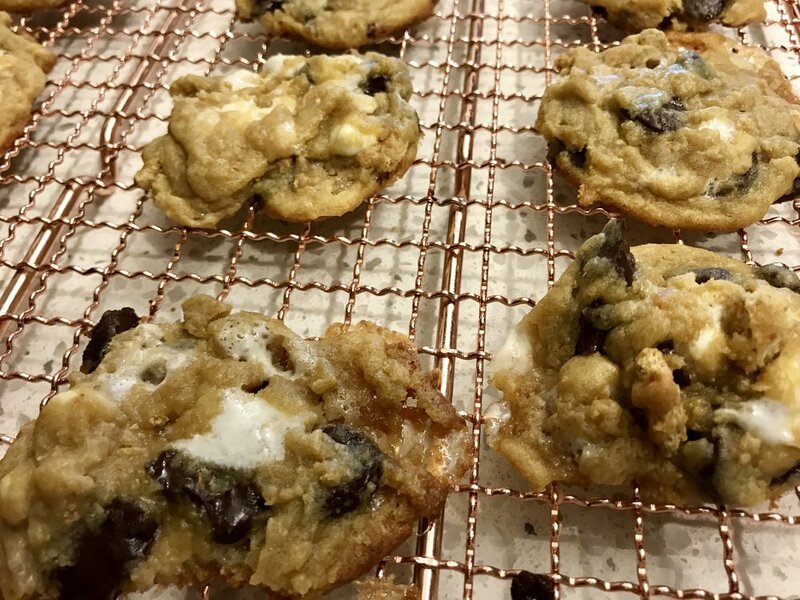 Make sure to grease your cookie sheet, the marshmallows make these cookies sticky. Do you have any fun new recipes? I love baking desserts for week on Sunday. It starts the week off to a such a sweet start, don't you think?